Welcome to the 2018 National Good Food Network Conference! Below is the overview of the Conference schedule. Listed times are tentative and subject to change. We will be continually updating this page as additional information becomes available. You can find full program details, including information on Site Visits, Breakouts, Full-Day and Half-Day Trainings, and Presenters on the Sessions tab. La-Montanita Co-op: a community-owned grocery store and regional food distribution center with several locations throughout New Mexico. Agri-Cultura Network: a farmer-owned brokerage that sells sustainable grown, local produce to restaurants, institutions, and families in the South Valley area of Albuquerque, New Mexico. Labatt Food Service: a regional food distributor that procures from Native American ranchers in the Four Corner Region and boasts highly innovative and advanced logistics and operations systems, allowing it to grow from 20 employees in 1980 to 1600 today. Peculiar Farms: not your average farm, Peculiar Farms uses only well water, has a diversity of heirloom & traditional vegetables, offers farming and cooking classes, has mixed market outlets, and supplies to intermediated supply chains. Cornelio Candelaria Organics/ New Mexico Acequia Association: Join the New Mexico Acequia Association as they teach us about this centuries-old, community-operated irrigation system. Visit Cornelio Organics to see an example of how acequias function on farms and are the lifeline for farmers and ranchers in arid climates. Michael Rozynehas been a marketer of small farm products for three decades. He worked on conventional and organic farms in Maine, and was Purchaser and Marketer for a regional food distributor in New England. He was cofounder of the fair trade coffee company, Equal Exchange. He started Red Tomato, a decentralized food hub in the Northeast, in 1996 and now works as Red Tomato’s Evangelist. 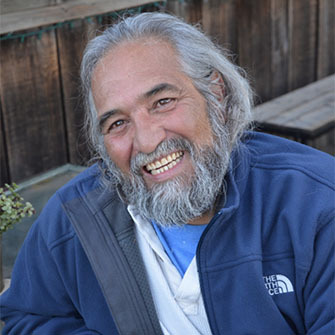 Don Bustos, former co-director of American Friends Service Committee – New Mexico branch, is a sustainable and organic farmer and spokesperson for minority farmers. He has been involved in informing policy and legislation to support underserved and minority farmers and was a recipient of the 2015 James Beard Foundation Leadership Award for his efforts to fight for the rights of small farmers, especially farmers of color. Greg Steltenpohl is the Co-founder and Chief Executive Officer of Califia Farms, where he has led the company’s rapid growth as an innovative leader of premium, natural beverages. 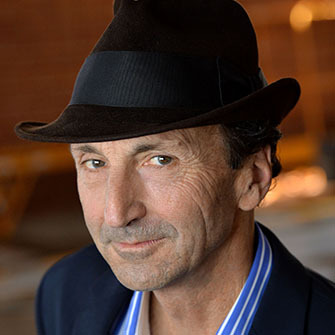 Previously, he founded Odwalla Inc. and co-founded the Interra Project in 2000, Adina for Life in 2004, and Califia Farms in 2010. He has also served on the board of Slow Money Alliance, Social Venture Network, Frontier Natural Products and is a long time member of the Institute of Food Technologists.